A new revolutionary patented technology developed by Swiss Laboratories, Anti-Break Safe Guard inclu..
Anti-Break Safe Guard ensures 100% penetration of active components into the cortex layer of the hai..
An exclusive serum to rehabilitate and preserve the structure of the hair. Formulated from silk prot..
A dramatically effective therapeutic and moisturizing hair mask designed to repair damaged and color.. 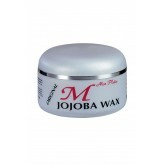 The latest research has produced this state-of-the-art wax based on a combination of jojoba extract .. 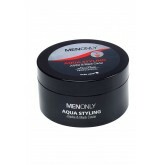 The ultimate men’s hair styling product. An all-new formula based on pure water and extract of..
An exclusive cream designed to rehabilitate and preserve the structure of the hair. 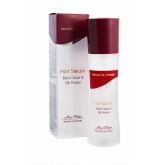 Hair cream enric.. 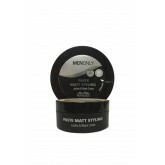 Gives hair a strong hold, making it easy to form and create unique styles. 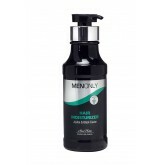 Enriched with jojoba and ..
A shampoo especially formulated for daily use by men. Cleanses the scalp thoroughly, leaving the hai..
An all-new formula designed to style and strengthen the hair. Contains extracts of black caviar and ..
Thermo Builder is a unique product designed to restore and rehabilitate hair during blow drying..
Total Balance Shampoo for Oily Hair enriched with Black Caviar Total Balance Shampoo restores balanc..
Nourishing and moisturizing treatment mask for blonde, bleached or lightened hair. Helps maintain co..
Total Blonde Shampoo is specially formulated for daily shampooing of blonde, bleached or lighte..
Total Clean Anti-Dandruff Treatment Shampoo enriched with Black Caviar Total Clean shampoo intensive..
A treatment mask specially formulated for chemically straightened hair. Nourishes the hair with..
Total-Repair Shampoo for Dry Hair enriched with Black Caviar A special total-repair shampoo for dail.. 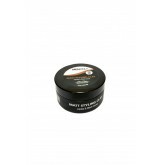 Helps preserve the result of chemical straightening over a long period. Does not contra-indicate the..
Total Reviving Conditioner Enriched with Black Caviar Conditioner for intensive care, enrichment and..